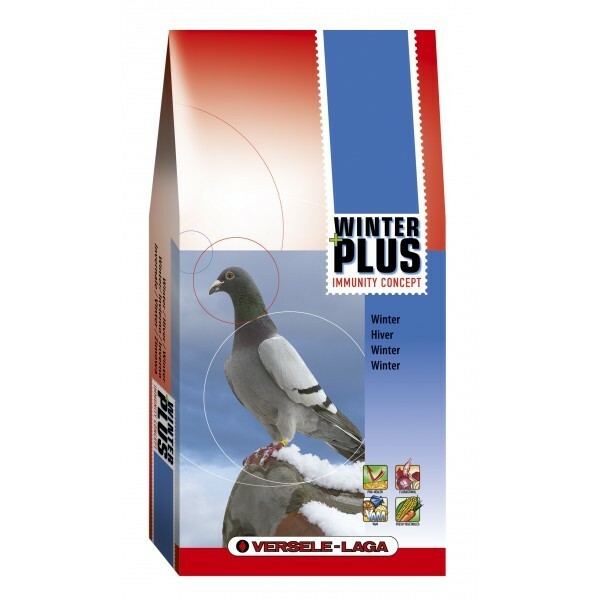 Complete food for pigeons with the special Immunity Concept+ diet pellet. Winter Plus I.C.+ is a resting mixture with very high extra barley content (33 %). Enriched with Herba Corn (herb pellet) and Carrot Corn (carrot pellet). The Plus I.C.+ mixtures contain moreover a series of vitamins and trace elements. Vitamins: A, D3, E, K3, B1, B2, B3, B12, C, PP, folic acid, biotin, cholin chloride. Minerals/trace elements: calcium, phosphorus, magnesium, sodium, iron, manganese, zinc, copper, cobalt, selenium.